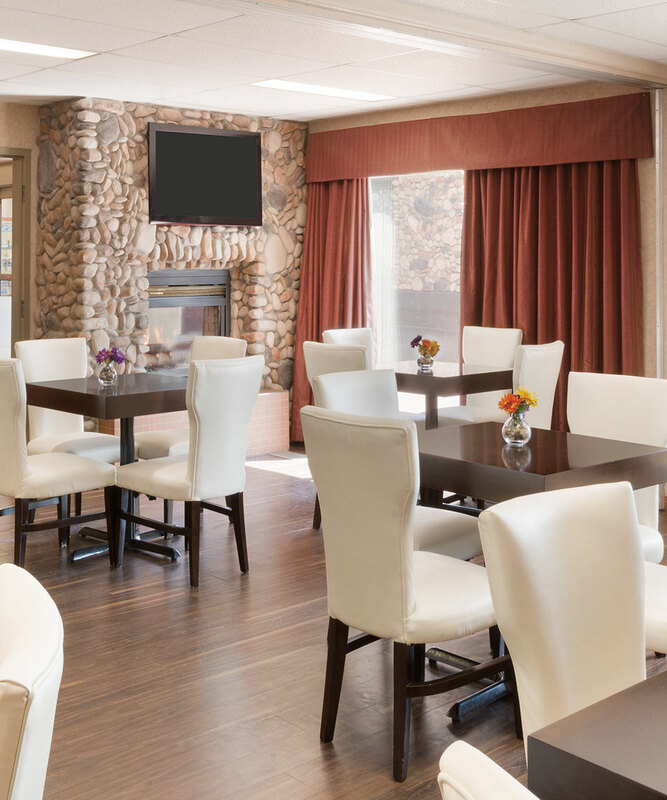 Days Inn Medicine Hat is proud to be your home away from home, with comfortable rooms and suites for every traveller. But it doesn’t end there: Our outstanding services, amenities and friendly staff put us ahead well ahead of the pack! 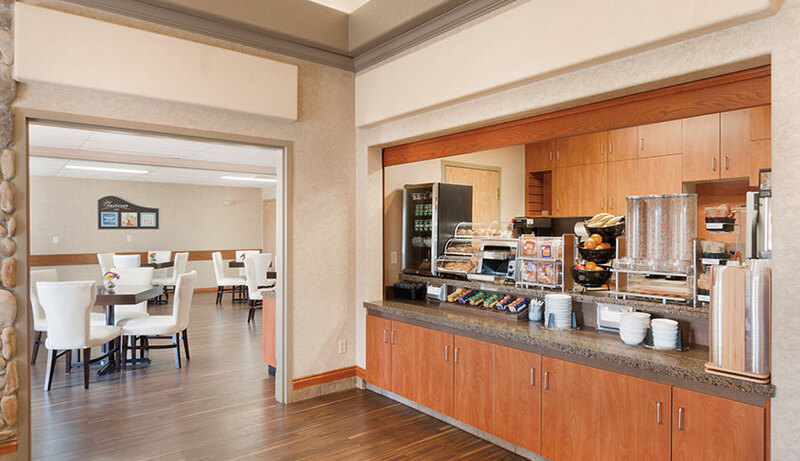 Conveniently located near shopping and restaurants, we offer all the amenities you need for a refreshing stay, including new flat-screen TVs and a free Daybreak Café continental breakfast each morning. Use free Wi-Fi to stay connected from your hotel room, take advantage of guest laundry facilities or relax by our pool with a water slide and whirlpool. Be sure to check out our special packages and promotions, and book your room or suite today for our best rates and room availability. Wake up your taste buds with our delicious breakfast of freshly made pancakes, French toast, muffins, bagels, yogurt, toast, hot and cold cereal, hard-boiled eggs, hot items, fresh fruit, juice, coffee and tea. We are also pleased to offer several gluten-free options. Plunge into our refreshing indoor pool, swoop down the water slide, or simply soak the day away in the whirlpool as you watch your kids splash and play. Our bright pool area also features large windows and plenty of pool-side seating. 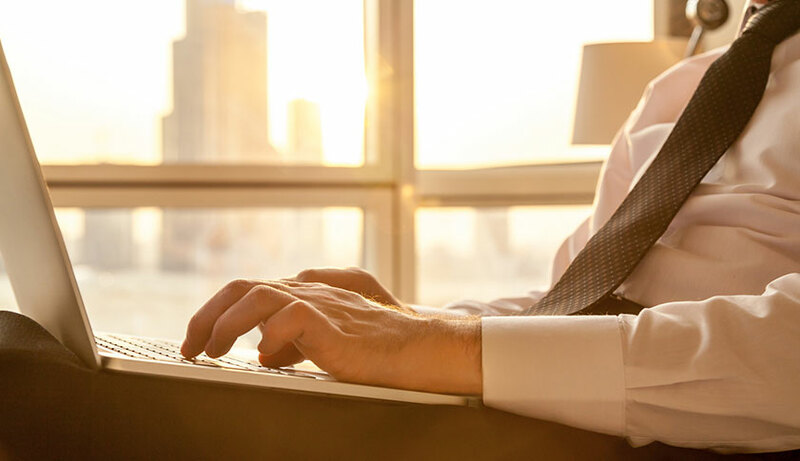 Stay connected with complimentary high-speed Wi-Fi throughout our hotel property. Surf, post, email or work online in your room or take your device over to our 24-hour coffee bar for a fresh cup of Joe. 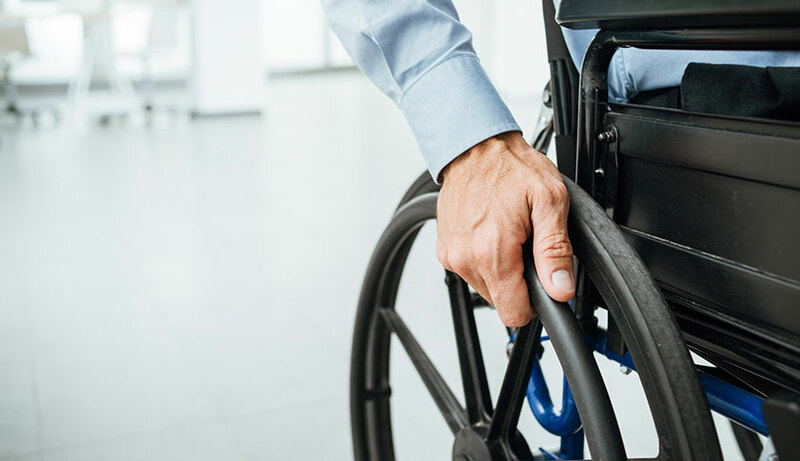 The Days Inn Medicine Hat features wheelchair accessible accommodations, brailed elevators with access to all floors, a hearing induction loop system, and a fully accessible main entrance.